Over the past year, we’ve heard a lot of criticism and doubt on whether Kuwait would comply with the Unified Agreement for Value Added Tax (VAT) by implementing and enforcing its own VAT law. Recent news has confirmed that Kuwait’s Cabinet has approved a VAT draft law and such draft has been referred to the National Assembly for further consideration. While we all wait in suspense to learn whether Kuwait will be in compliance by 2018, business owners should all take the time to prepare for VAT enforcement. While some industries and/or businesses may be exempted from VAT, companies that meet the minimum turnover requirement will have to register for VAT purposes. For good reason, many financial firms are advising businesses to review and update their contractual agreements with vendors and customers to assure that parties are aware of its responsibilities for paying and accounting for VAT. There is a well-known principle in drafting a contract for the supply of goods or services that the price does not include any applicable taxes. This is something I would consider an ambiguity because it leaves the price open for interpretation (whether it includes the VAT or not). Ambiguity in contracts leave room for error, which is something to avoid if possible. I know that many businesses believe they are unable to adequately draft VAT clauses for their contracts without an enacted law, but a general VAT provision that specifically reserves the seller’s right to add tax, if applicable, can be added to current agreements. 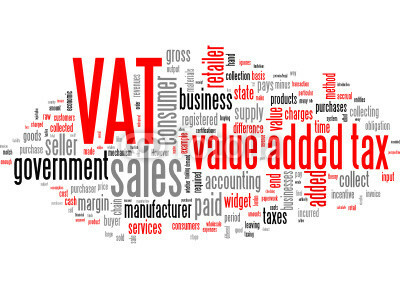 Having a general VAT provision in preparation for the new law will put all parties on notice of the possible changes and of your rights in connection with accounting for VAT. In other jurisdictions, courts have held seller responsible for the buyer’s VAT because the Seller did not add the VAT percentage to the price and/or the agreement failed to specify a VAT would be deducted, if necessary. The best preparation is to draft a general provision that clearly specifies if a VAT law becomes applicable in the jurisdiction the VAT will be collected in accordance with such law.